Hybrid only seven-seater. Low emissions of 96g/km for Icon trim. Easy to drive. Spacious interior and seven seats as standard. Expensive compared to other MPVs. CVT gearbox not pleasant to accelerate hard, so you don't. A bigger battery would have taken it further. 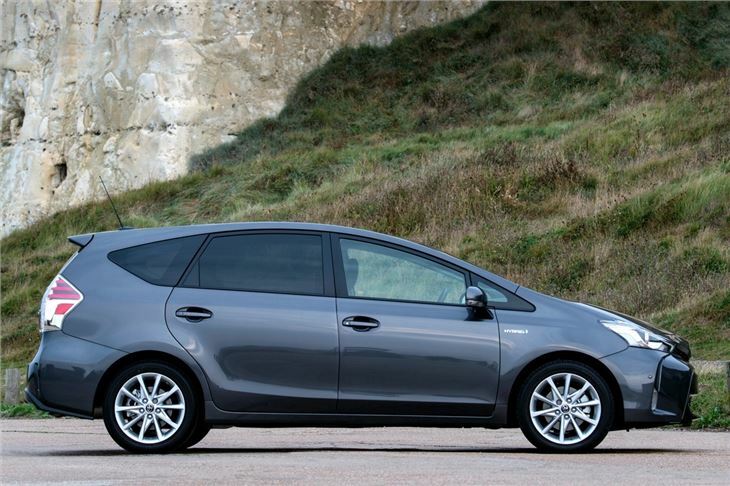 Ask someone to name a hybrid MPV and you’ll be met with blank looks... unless that person is a green car evangelist. 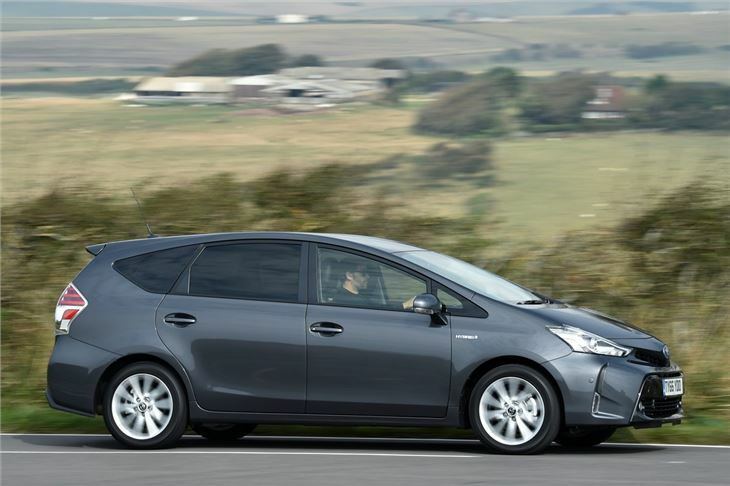 And this, in a nutshell, is the problem with the Toyota Prius Plus – the one and only seven-seater hybrid MPVs and the answer to the question that nobody asked. Hybrids are at home in town. But put seven seats in one and ask it to provide family transport is asking for trouble. This is a car that’s a long way from its comfort zone. Why? Well, kids and saving energy just don’t go together. Kids leave the lights on, the fridge door open, turn the TV up really loud in one room with the radio on in another… you get the idea. A simple task like the school run places a spectacular drain on the world’s resources – especially those of a hybrid family MPV. 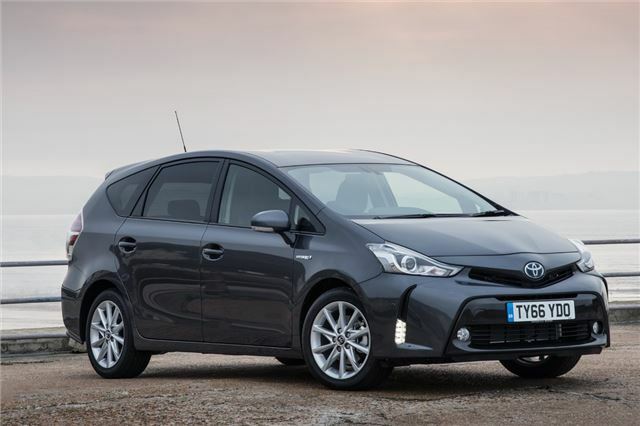 Toyota knows this and so has revised the Prius Plus with a new nose, some clever seats, an extra top end trim level and a few other tweaks. But it's not enough. With the radio blaring, the heating cranked, the fan on full to demist the front screen, the rear heater on to demist the back screen, the electric motor doesn’t get a look in – even in ten minutes of stop-start traffic all the work is done by the underpowered 99PS 1.8-litre. The car's design isn’t exactly family friendly. Sure the revised front-end styling brings it into line with other Toyota models, but those steeply raked A-pillars are the perfect hit for a seven-year-old to hit her head on as she’s climbing in the front seat. There’s no electric tailgate either – a principle directly opposed to the hands full/in a rush DNA of family life. Front visibility is ok thanks to thinner A-pillars, the view out the rear is restricted, making you thankful for the standard-fit reversing camera. 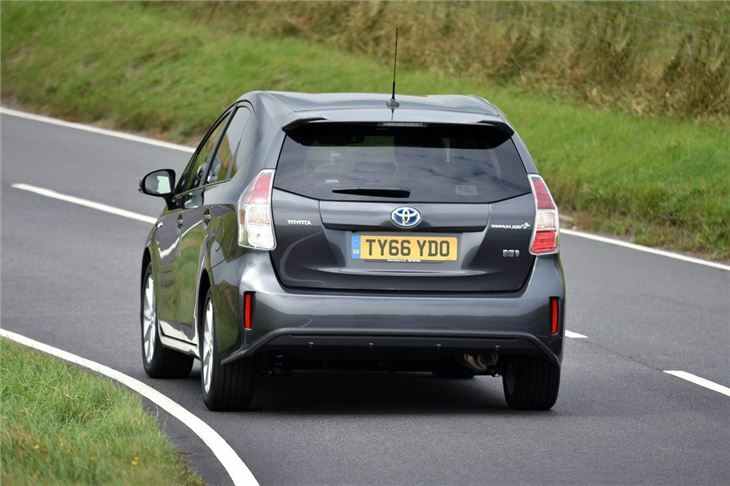 A motorway commute allows you to enjoy the Prius Plus at high speeds, an experience which can be summed in one word: noisy. This was one of the main areas the facelift tried to address, but to little success. 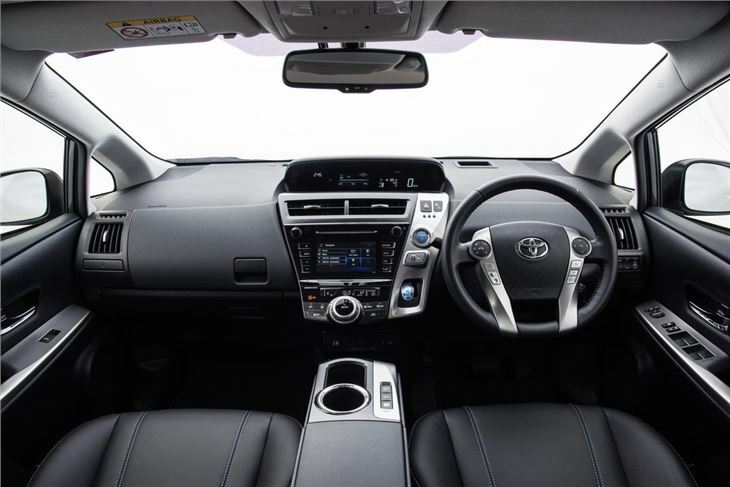 The automatic CVT gearbox doesn’t help as you have to rev the engine hard to change down. You’ll need a good run up to join 70mph traffic, too, as the 0-62mph blast takes 11.8 seconds. Such ‘real world’ driving makes it unlikely you’ll ever see the official 64.2mpg figure. We managed around 40-44mpg. 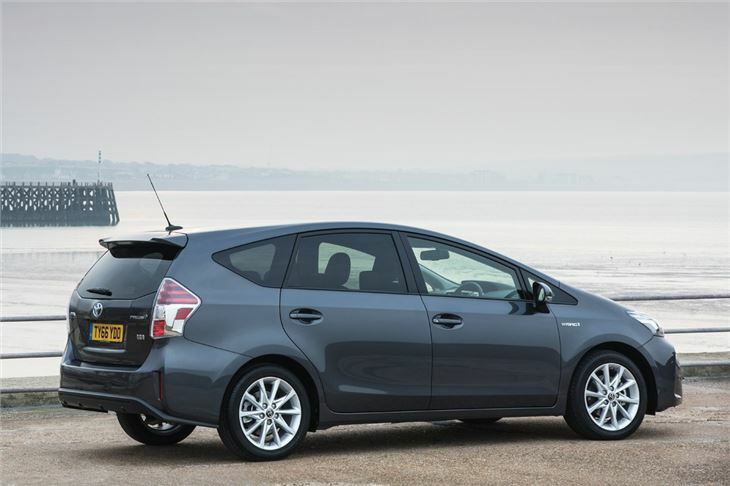 If you’re going to pay £26,995 for a family MPV and need a working car to clock up the miles, the Prius Plus might not be the one for you. Positives? There’s plenty of space inside for everyone. The facelifted models have middle section of seats slide, split and fold. But don’t get any ideas about the back row of seats - booster seats just roll off and a tall teenager would be and cramped. Still, at least there’s now a 4.2in colour touchscreen so you can enjoy the menu layout, which has all the user-friendly ness of a 1990s Japanese remote control – lots of small buttons and the one you use most hidden in the least obvious place. Load space is mixed bag. Just 232 litres with all the seats up, and 784 with them down – hardly room for a family of five and their luggage. A fully laden Prius Plus on a trip run is the stuff of nightmares, which is why most of these find favour with taxi firms. Plenty of space to take passengers and luggage on short trips. Perfect for leaving the engine running on the train station while you listen to Five Live with the heating on. Spacious, refined, comfortable, economical, reliable.